We wanted to inform First Rate Property Management’s clients that we have made a website change. The new website looks like the old site, but the back-end functionality is far greater. Like any technology change, we hope that there are no problems, but with over 60 pages, 20 plus URLS, and hundreds of links, there is a possibility that something could go wrong. If you have any problems or see anything that needs fixed, please let us know. You’ll need to create a username and password. Unlike the previous site, you now can modify your account to allow others to access your account as well. So if you have a partnership or family members, you can give them access without giving them your own user name and password. FRPM has been utilizing text messaging, but the new system tracks the leads better. Each listing will have our sign on it which will include a 24/7 hotline as well as a text message service. They can text and immediately get a response as to the rent amount, deposit amount, if the property takes pets or not, and other summary information about the property. On our end, we get a notification and the number they called from so that we can follow up. Unlike anything else, tenants want information immediately so both services will be provided. These added services are free to our clients and paid for by FRPM. 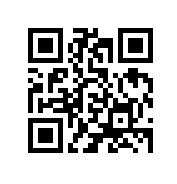 Another really cool tool is that the new system will create QR codes like the one in the link below. Once the system is live, we will add QR codes to all flyers and signs. This will direct perspective tenants with smart phones to access the website listing for that property immediately. This gives them the opportunity to view full descriptions, photos, virtual tours, YouTube videos, and gives them the ability to apply online. Currently a majority of our applications are online. The new site and system allows us to post YouTube videos of each property. This improves our search engine optimization as well as gives a video tour of the home. The new site will continue to feed over 200 other internet listings services to include Craig’s List. Our current site is viewable from your mobile phone, but soon, anyone searching www.FRPMrentals.com from a mobile device will be directed to a site specifically designed to function on mobile devices, such as a phone. Also soon to follow is an iPhone and Android app that can be downloaded on these mobile devices and assist a perspective tenant looking for a rental, as well as assist current tenants in paying their rent or submitting a maintenance request. Thank you. We hope that the implementation of this improved technology and service does not inconvenience you.